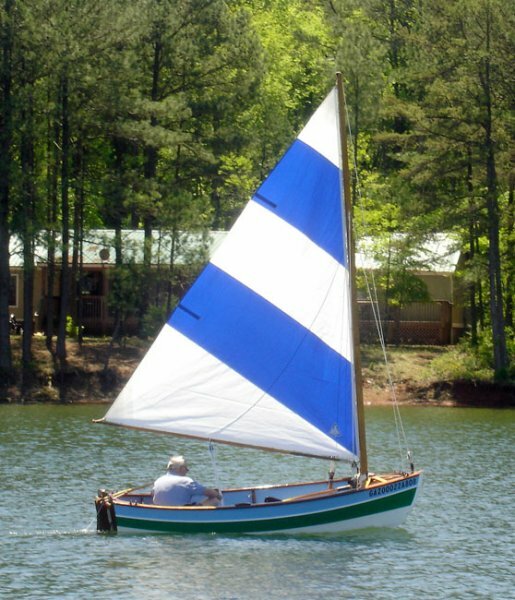 Glenn and Judy Barnwell found this Marisol Skiff for sale on the internet. They drove up to Massachusetts from their home in Pine Mountain, Georgia, turned around and drove her all the way back to Georgia. 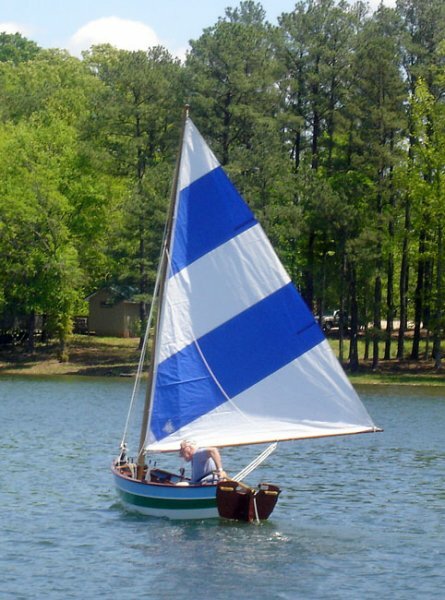 JUDY BEE is a Marisol Skiff built by Robert B. Morse of Marlborough, Massachusetts, from 1980 to 1985, using Gifford Jackson's design, and plans from Wodoenboat. 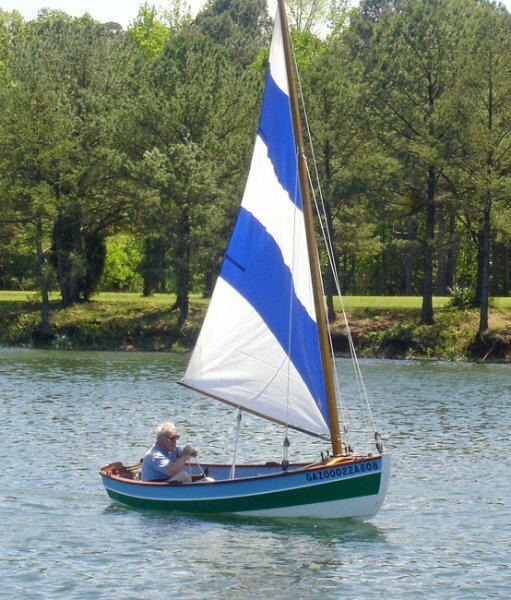 Morse was a master craftsman who loved building things, but not sailing, so the boat staying in his garage for 22 years. When Robert turned 89, his son, Ronald, thought it might be time to sell the boat. Glenn and Judy gave her a fresh coat of paint and freshened up her rigging before launching JUDY BEE in West Point Lake, Georgia.